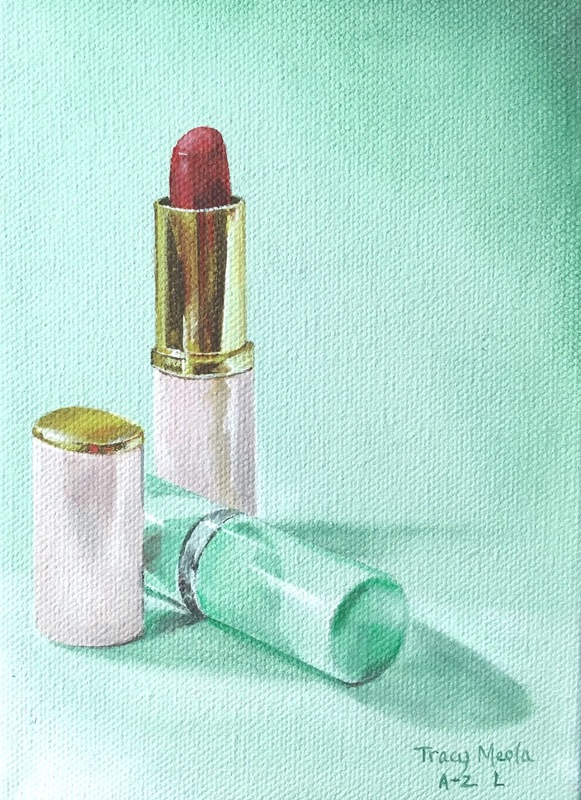 Week 12 of my A - Z Art Challenge brings me to the letter L and I chose to paint a few Lipsticks. The plastic lipstick cases were slick and shiny and the inside was a gleaming metal. The painting isn't as realistic as my paintings usually are due to the canvas. This canvas was highly textured and I didn't want to spend a lot of time applying coat after coat of gesso so I painted on it after just a few coats.